So you want to go to Disney World? 5 Things to think about before booking your trip! When Jordan and I first decided that we wanted to go to Disney World we were a little overwhelmed with everything you had to plan. Of course, we’d both been on holidays without our parents booking everything for us before, but for something as spectacular as Disney we almost didn’t know where to start. 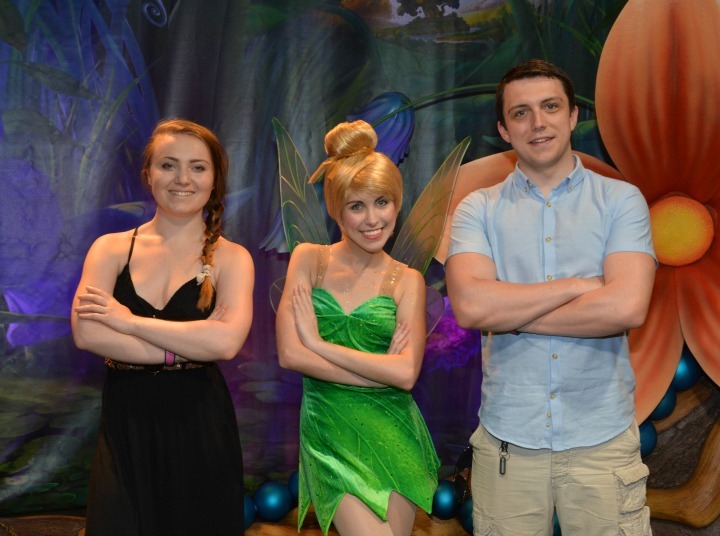 After being through the whole process of booking a Disney World trip I thought I would pop together this post to give any of you wanting to do the same, a little bit of knowledge from someone who’s now ‘been there, done that and got the t-shirt’! It was all a lot easier than I thought it initially would be, but now having been there, I’ve come to realise a few things we maybe should have done differently. 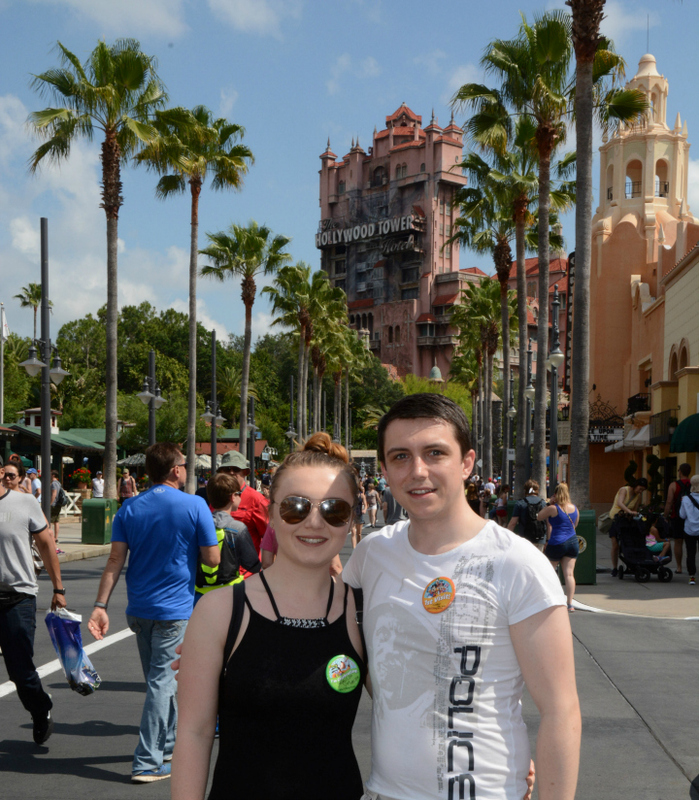 I’ve also popped in some bits about Universal too as I know that’s somewhere we definitely wanted to hit up when we were there too! I cannot tell you enough how glad I am that we used a crowd calendar to book our trip! By using Google, we managed to find a really handy crowd calendar on Undercover Tourist that honestly I would now use time and time again. We managed to pick a two week gap that was one we would never have thought was a good time to go and ended up having the best time when we were there because of our nifty planning. I’d say these calendars are pretty damn accurate – so much so that we even had one day at Universal where we walked straight on to every ride! Disney World is obviously going to be busy no matter what, but by using these kinds of calendars you can make sure you’re not going to be rocking up at peak times! It also shows you individually by park and by day, which is perfect for planning the ins and outs of your trip and your daily schedule! When it came to booking our hotel and flights, we’d always imagined that it would cost an arm and a leg to go all the way to Florida and stay in one of the most popular touristy areas, however after keeping an eye on Expedia for around about a month we finally found a deal that was just too good to refuse. In the end we wound up spending around £1500 for Virgin Atlantic Flights (Direct on the way there and one stop on the way back) and a two week hotel stay, only a mile away from the Disney parks. We booked it all around 10 minutes after finding it and are still happy with the decision we made. As with every holiday, Trip Advisor is your best friend when it comes to cheaper deals! Another thing we definitely shopped around for were our Disney and Universal Tickets. Now, for us, we decided to go full out and do a full two weeks, lapping up the magic so it could have been a really spendy trip for us had we only gone straight to the Official websites. Again though, we had a little shop around and after a couple of weeks of keeping our eye on things (and waiting for payday to come around) we ended up finding a website called FloridaTix – we would 100% recommend these for anybody in the UK wanting to Disney it up! 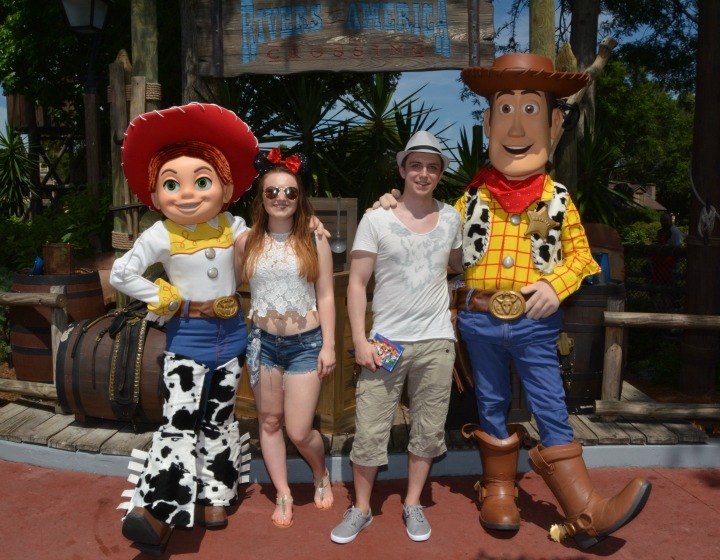 We ended up saving around £130 each by using this website and managed to get a full 14 day pass for both Universal Parks and all six Disney Parks! The Postage was also really quick, signed for and you got physical tickets; not only did that make things even more exciting but it meant that we didn’t need to fuss around when we got there and we could go straight through! At both Disney and Universal you can (as with most theme parks nowadays) get Fast Passes which allow you to skip the usual queues for the rides. At Disney World, I would 100% recommend that you take full advantage of these! By downloading the My Disney Experience app you can book and schedule your Fast Pass + up to 30 days in advance (60 if you’re staying in a Disney World Hotel) and also keep a track of your restaurant reservations (which you can book 180 days in advance – something I really recommend as we did not know this and struggled to book in anywhere within the parks). The new Fast Pass + system for Disney is 100% free and makes planning your days at the park so much easier. You initially get 3 a day, but as soon as you’ve scanned in for your last one, a new one appears for you to book! At Universal the fast pass system is very different. For a 1 day ‘Express’ pass, it’s around $80-$130 per person (depending on the time of year) and this entitles you to use the ‘Express pass’ lane on each ride once throughout the day. For around another $10-$20 per day, you can also buy an ‘Ultimate Express’ pass which gives you unlimited use of the express lanes on all participating rides (there are only 2 or 3 that don’t have this lane). Before we left for Florida we thought these were amazing and bought a 2 park Ultimate pass each which gave us unlimited express pass action for one of our days at Universal (which we split between both parks, Stuidos and Islands of Adventure) however when we got there, we were quite disappointed with the organisation of them. As mentioned above, we completely lucked out on the first day that we went to Universal, which happened to be a day we hadn’t purchased an express pass for; we managed to walk on to every ride, in both parks and saw everything there was to see. The Staurday that we had the Ultimate 2 park express pass was a bit of a disappointing one if I’m honest. We still managed to go on every ride, which we definitely wouldn’t have been able to do without having an express pass, but we probably could have gotten away with only getting the standard express instead of the ultimate. Our issue was that in some cases, the express pass queue was still half an hour to an hour and a half long, which wasn’t ideal when we had paid so much money for the privilege! So it’s definitely something to think about if you’ve planned your trip around quiet days – you may not need one in the end and be as lucky as we were on our first day! In Florida Jordan and I were unfortunate enough to be in a position where neither of us could leagally drive whilst we were over there and so we ended up spending quite a bit on Ubers and Taxis. 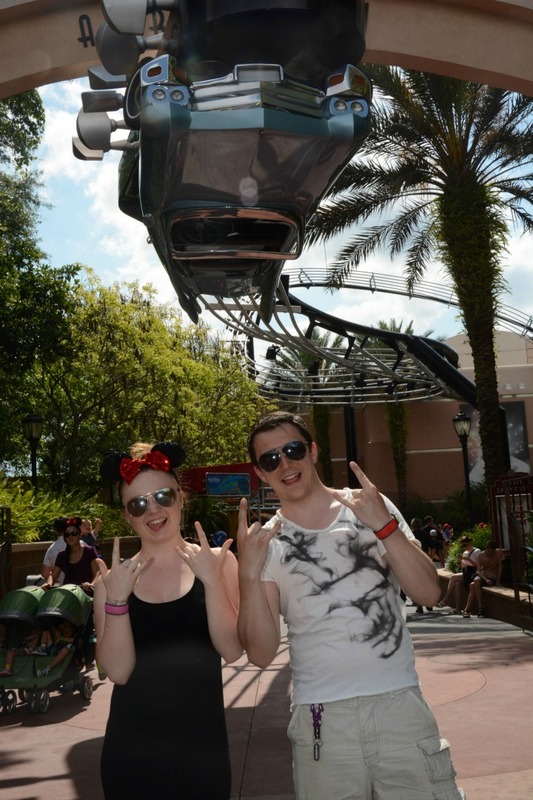 If you can, make sure you can hire a car whilst your there, however if you’re in the same kind of position as me and Jordan were then there are other ways you can get around in Orlando! Luckily for us our hotel had free shuttles to and from the Disney parks every day, multiple times a day and to Universal twice a day. One thing I will definitely say to you is make sure that your hotel has these free shuttle services before you book! These shuttles helped us out SO much and we used these every day! It saved us so much money on Taxi’s but also could save you money on parking too as I know it’s around $20 a day to park in the Disney parking lots! The only issue we had with the shuttles was that from our hotel they didn’t pick up after 10pm at night so when we wanted to stay a bit later we did have to get a Taxi back, but by staying in the Wi-Fi zones, we managed to book Ubers which were sooooo much cheaper (and so much cheaper than in the UK). The other way we got around was the I-Drive Trolley. This is something that we found out about when buying our park tickets at FloridaTix and only cost £11 each for a 2 weeks pass. This has around 30 something stops along International Drive and starts and stops at the Premium Outlet Malls at either end of iDrive. We ended up getting an Uber to the Outlet Mall closest to us for around $8 and then rode the iDrive Trolley all the way up to the other one (which would have cost us around $40 to taxi/uber to). It’s also a really easy way to get to lots of different restaurants and places like Aquatica and Sea World (if you’re that way inclined…). The last thing I want to talk about in this post is something that you probably wouldn’t think too much about before booking. Having your photos taken by Disney Park photographers is part of the magic at Disney World and although at first though you may think it an unnecessary luxury because you can take your own camera or a take a couple of selfies, I just thought I’d pop some information in about the new Disney Photo Pass +. Photo Pass + is Disney’s way of making sure that you go home with all of the memories that you can. For around $160 Photo Pass + is by far the best thing that Jordan and I had on our holiday. We were lucky in the fact that our Photo Pass + package was included in our park ticket bundle that we purchased, however even if it wasn’t, knowing what we know now, we would have definitely purchased it if it wasn’t included. The package meant that we could have our photos taken on rides or around the park as often as we liked and could keep every single photo. You can your Magic band / ticket with the photographer after having your photos taken and they appear minutes later on the Photo Pass section of the My Disney Experience App. You can download all of the images to your computer / phone as you wish (for up to a month after your first use); Jordan and I came home with over 550 images that we’ve sifted through and have had printed to put into a photo album that we bought over there. It’s, in my opinion, one of the best services that Disney have to offer and you’d be silly if you didn’t take advantage of it! 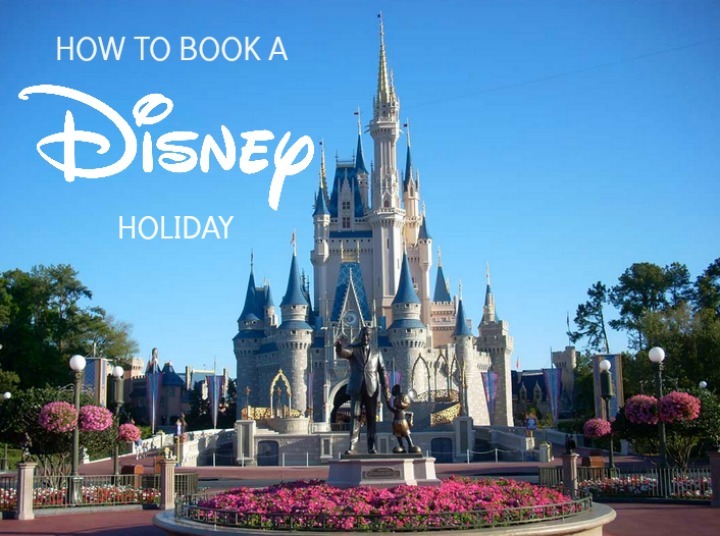 I hope these 5 tips will be of some use to any of you thinking of planning a Disney World / Orlando trip soon and I hope you’ve enjoyed this slightly different post! I’d love to know if any of you have any tips or tricks so make sure you pop them in the comments below! I should have some more Disney / America related posts up soon so please do let me know if there is anything specific you’d like to see! Previous Post RWL Week #2 | Getting into routine, Craving Chocolate and noticing differences in my body!